Just returned from a productive trip to our nation’s capital this week (I know, sounds a little counter-intuitive these days). We started out at the Self Insurance Institute of America (SIIA) annual conference which brings together many professionals in the self-insurance business. Self-Insurance (also referred to as self-funding) is an alternative risk transfer strategy used by tens of thousands of employers across the country to finance their group health plans and workers’ compensation programs, where expenses are paid as they are incurred as opposed to paying a fixed premium to a traditional insurance company. Since captive insurance is a form of self-insurance, it was good to see the growing interest from both the businesses that use self-insurance for their employees as well as the many service providers in the industry taking a look at the captive model. Mike Ferguson and his team at SIIA put on a great conference and I am sure we will see more intersections between our groups going forward. While in DC, a number of VCIA’s board members, our DC counsel, Jim McIntyre, and I met with senior staff from the FIO’s office to discuss the concerns raised over the Congressionally mandated collection of information regarding the use and uptake of TRIA. VCIA was part of a broad coalition of organizations that had urged Congress to pass the reauthorization of TRIA last year, as many of our members utilize it in their captives. Not surprisingly, the FIO staff members had little background in the captive arena; however, I believe we were able to take another step in educating policy makers on the subject. The staffers seemed genuinely thankful for our information and I am happy that we continue to keep the lines of communication open. Later that day, we met senior staff of Senator Leahy’s office to discuss the captive clarification bill he co-sponsored with Senator Graham of South Carolina. Erica Chabot, Legislative Director, and Maggie Gendron, Legislative Assistant, have been doggedly pursuing a mechanism to get the bill that we believe will “fix” the NRRA issue moved forward. Here’s hoping for a break in the logjam sooner rather than later! 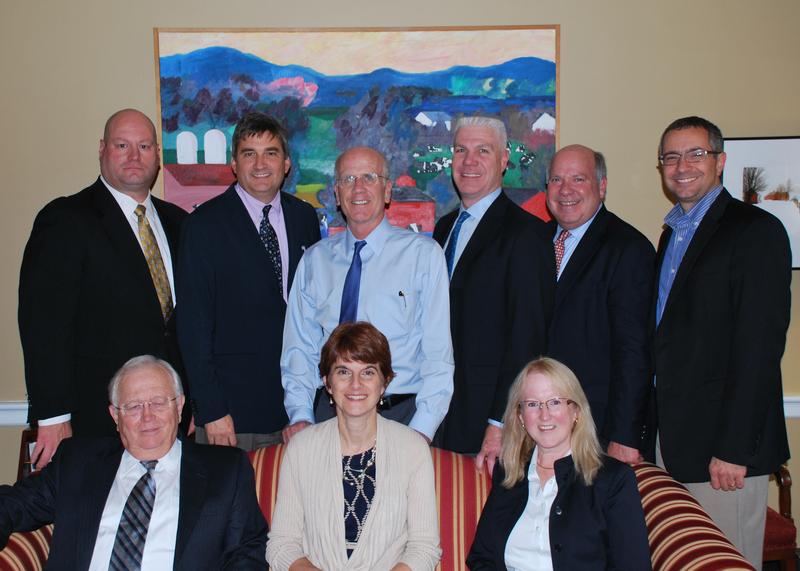 Finally, we sat down with Congressman Peter Welch and his Legislative Director, Patrick Satalin, to thank them for their continued support of Vermont’s captive insurance industry. As usual, Congressman Welch impressed us not only with his unremitting backing of our industry, but his knowledge of captives as a whole. I feel VCIA’s on-going communication and efforts on behalf of the industry continues to help nurture support in Washington from these important leaders. So, overall, a great trip to DC. This entry was posted in Captive Insurance, Insurance, VCIA and tagged captive insurance, Congressman Peter Welch, Jim McIntyre, Rich Smith, Self Insurance Institute of America, SIIA, TRIA, VCIA, Vermont Captive Insurance Association by vciablog2013. Bookmark the permalink.